The tomato is rich in vitamins (C, B, K) and mineral salts (K, Na, Mg, Fe), an excellent source of anti-oxidants and certainly belongs to healthy foods. 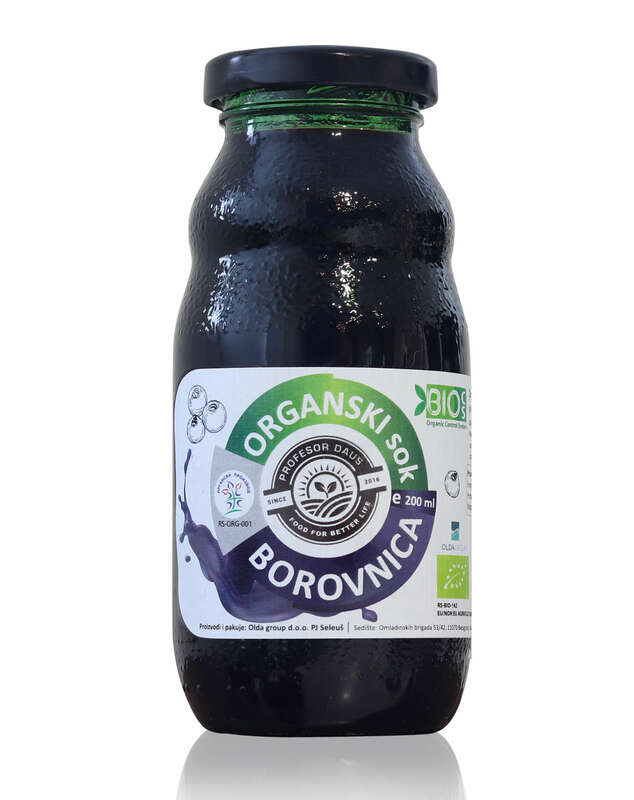 Regulates metabolism, improves immunity, eyesight, tooth and bones health, improves blood test results, reduces cholesterol and blood sugar. 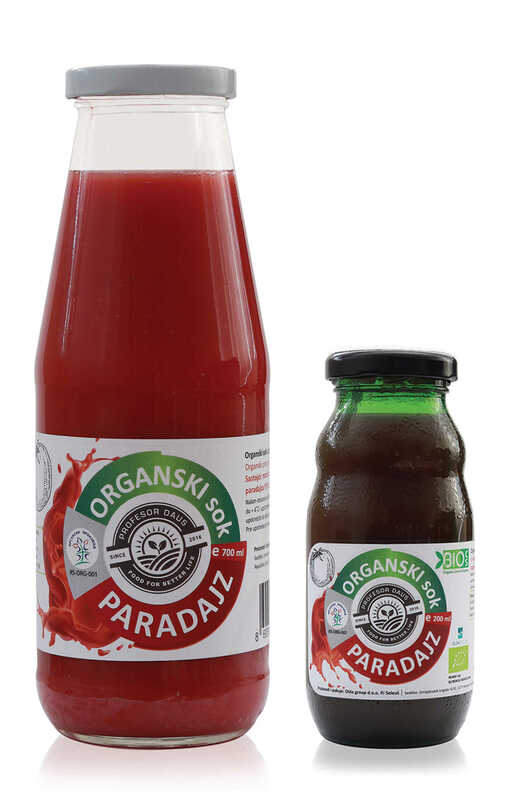 Tomato juice should be used during breaks as it strengthens, cleanses the body, and is also as good as a natural remedy against premature aging, coughing, pulmonary diseases, and urinary tract diseases. 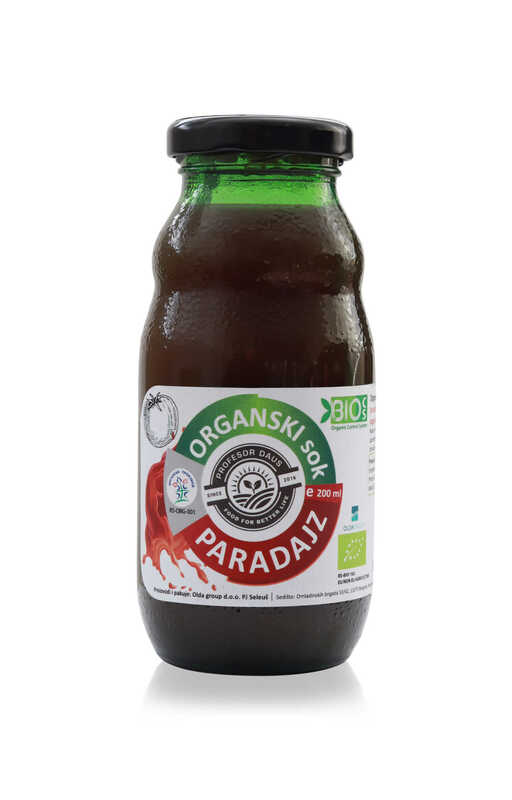 Organic raspberry juice 100%, delicious and healthy beverage. Raspberries are low calorie fruit rich in vitamins C, B (B1, B2, B3, B5, B6, folate and choline), E and K, and minerals, manganese, potassium, copper, iron, calcium and magnesium. Raspberry is rich in dietary fiber. It is the fruit of a low glycemic index (GI), which means that the perfect choice of food, if you want to lose excess pounds. Dietary fibers of raspberry will help you in this case to feel fuller and more intense. Sugar in raspberries is not ordinary sugar, but a natural organic compound of sugar called xylitol. Xylitol is one of the natural sugars used to replace ordinary sugar because it contains fewer calories and slowly absorbs in the body, and does not rush the insulin rapidly. 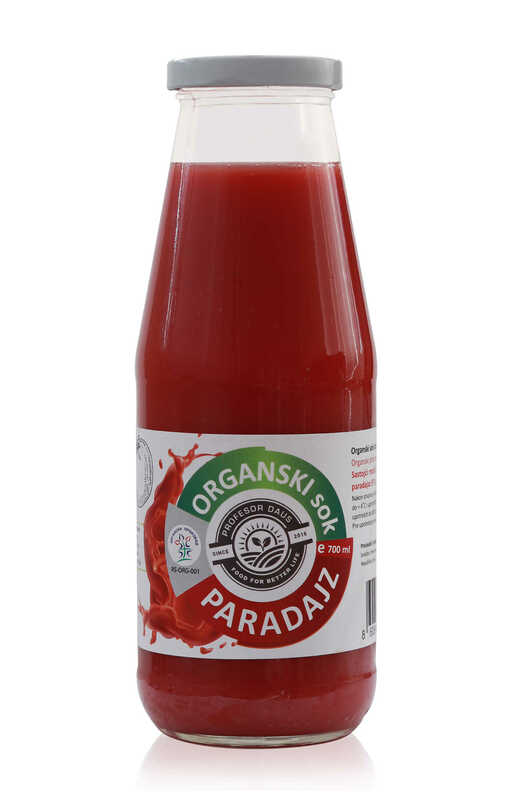 Organic pulpy apricot juice 100%, tasty and healthy beverage. Apricot fruit is particularly recommended for anemia because of the high content of iron. Fresh apricot juice is used as a medicine in fever and skin diseases, it cools and accelerates metabolism. Apricots contain large amounts of potassium and sodium that are suitable for lowering blood pressure and are excellent in the prevention of cardiovascular diseases. The high content of beta-carotene and lycopene has a very beneficial effect on heart health. Vitamin A with which apricot abounds is a powerful antioxidant that protects the cells and tissue from damage caused by free radicals that result from the exposure of the organism to various harmful effects. Apricots are also an excellent source of plant fibers, which favorably affect the digestive system. 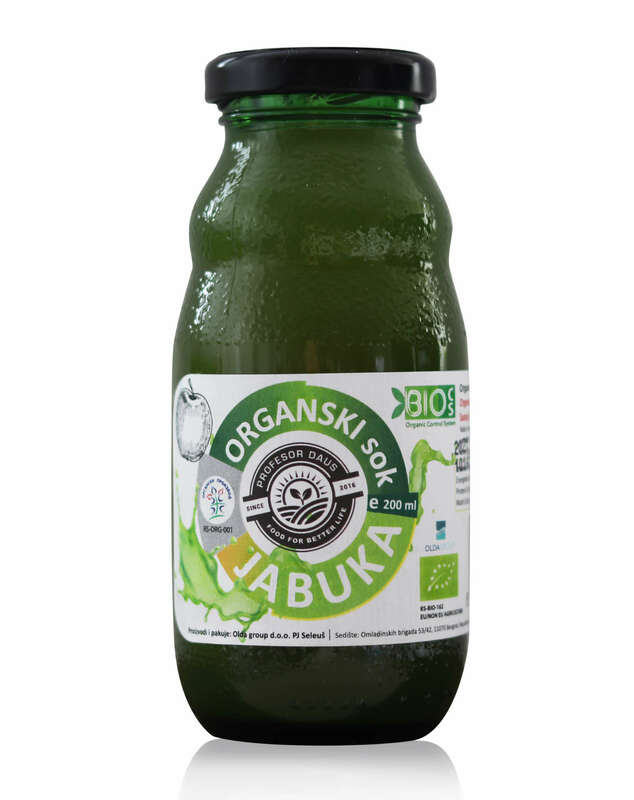 Organic pulpy apple juice 100%, tasty and healthy beverage. Apple juice is rich in vitamins A, B and C, as well as minerals like calcium, magnesium, phosphorus and potassium. It helps in the treatment of arthritis and rheumatic diseases, soothes the body, and cleanses the digestive system. 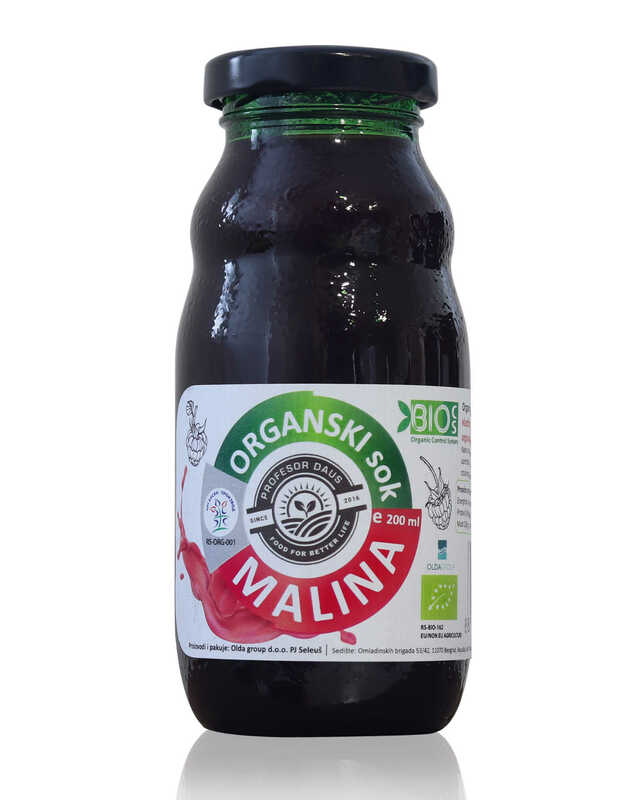 Organic pulpy juice from wild blueberry 100%, delicious and healthy beverage. Blueberry juice is rich in natural antioxidants, vitamins B, C and E, and minerals such as gum, potassium, calcium and others. Since the fruit of the blueberry contains a lot of medicinal substances and a strong antioxidant effect, it has been proven to work favorably on the body.